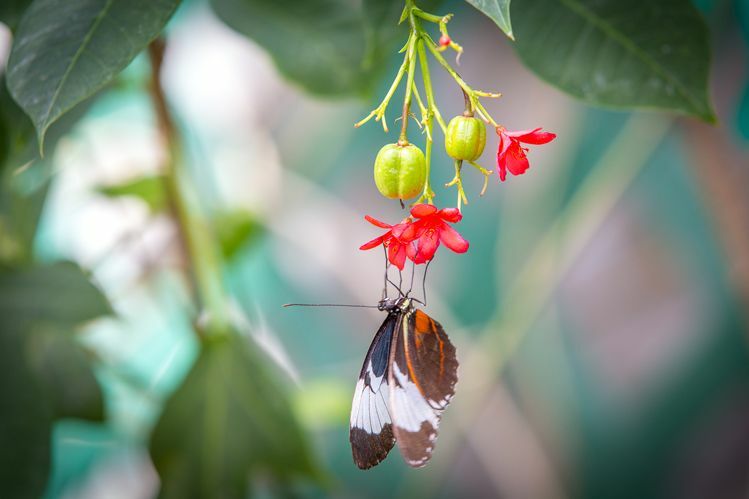 Photographer Scott Korsten and his wife Marilyn recently brought visiting family to the Butterfly House & Marine Cove in Sioux Falls. 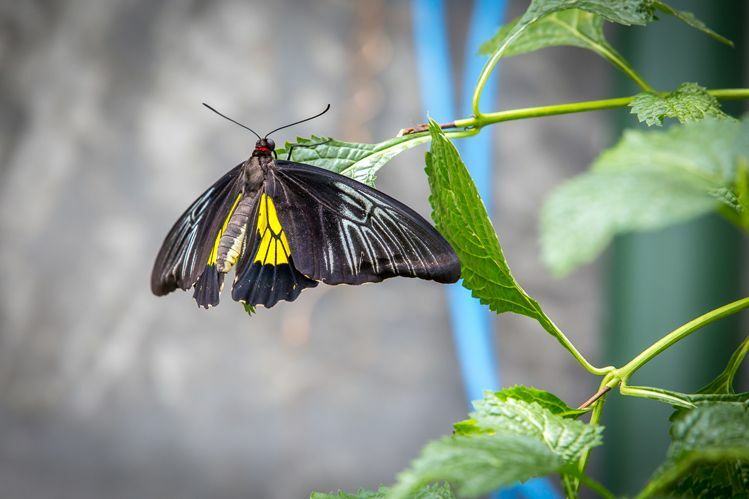 "It was a great experience for the kids who were mesmerized by the hundreds of different free-flying butterflies found throughout the tropical conservatory,” Korsten says. "Before making our way in to the butterfly area, we spent time in the Marine Cove where we saw vibrant fish and corals.” The Cove boasts more than 10,000 gallons of aquariums and a popular pop-up dome aquarium, where kids get a unique view from "inside" the aquarium. There is also a shark and stingray touch pool and a Pacific tide pool. 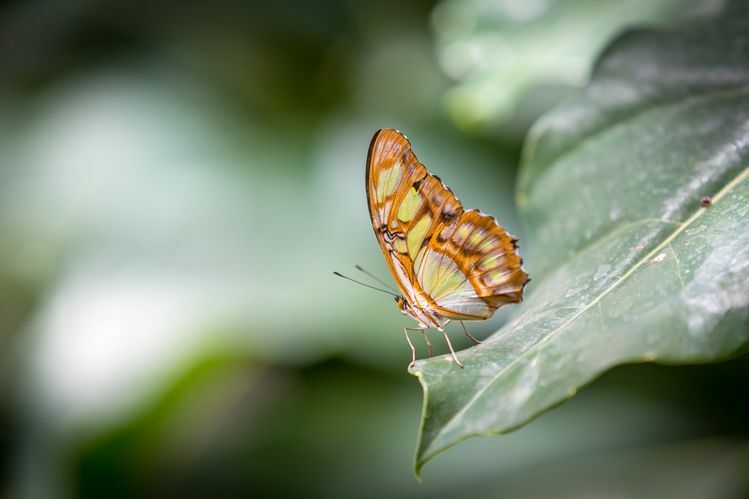 The Malachite is one of the most common butterfly species throughout Central and northern South America. It can be found as far north as southern Texas and the tip of Florida. The clownfish and anemone exhibit shows their symbiotic relationship. 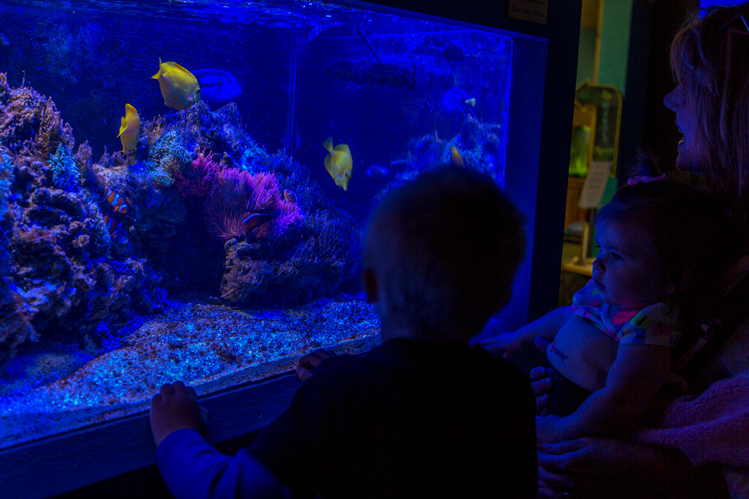 Kids also enjoy it because they recognize the fish from the movie Finding Nemo. Birdwings are named for their exceptional size, angular wings and birdlike flight. 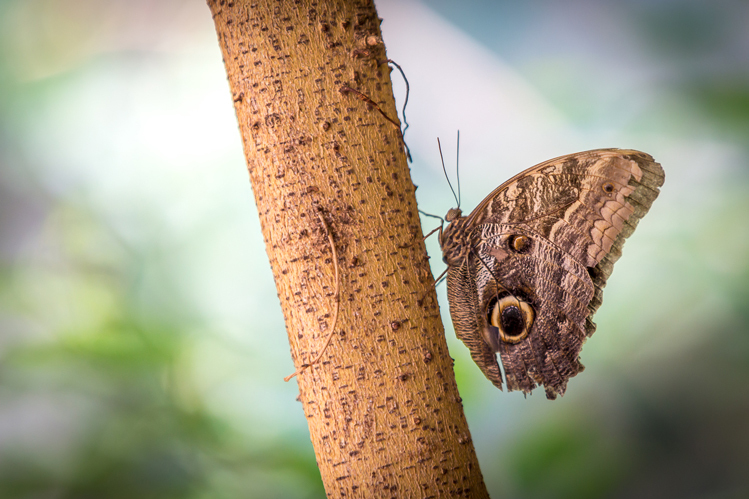 The Owl butterfly is native to Costa Rica. Its spots are reminiscent of an owl’s eyes. Cydno Longwings are found from Mexico through South America. They feed on the nectar of Peregrina flowers. 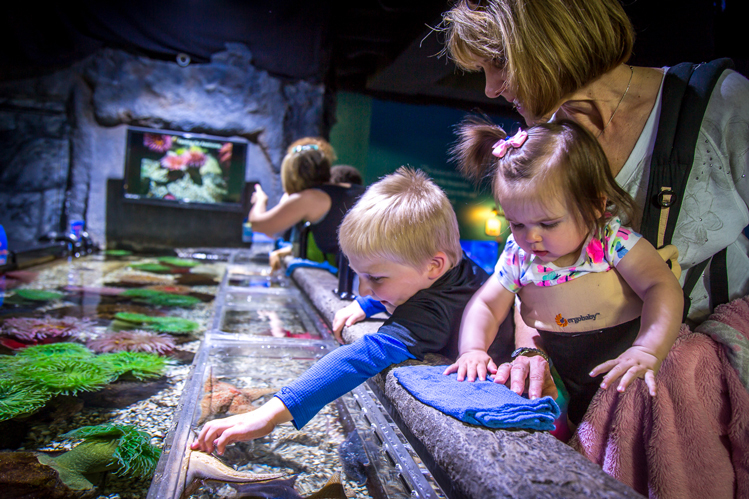 The Tidal Touch Tank lets visitors interact with starfish, sea cucumbers and sea urchins. 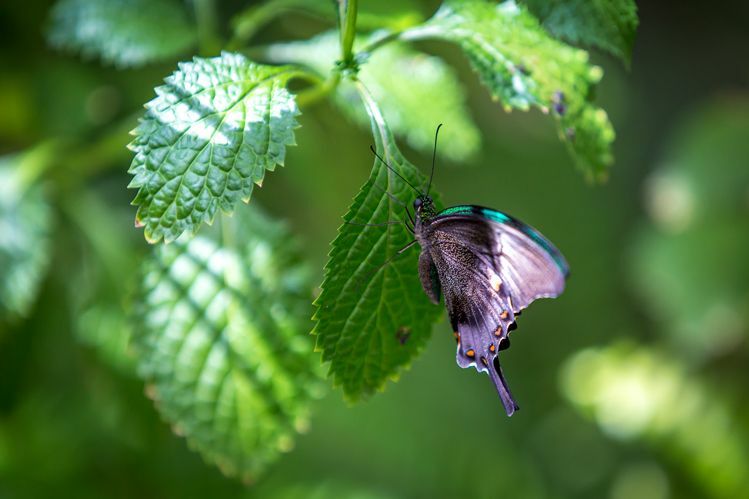 The iridescent green around the wings of an Emerald Swallowtail is not pigment but a structural coloration, much like a peacock’s feathers. They refract blue and yellow light, producing the perception of green. 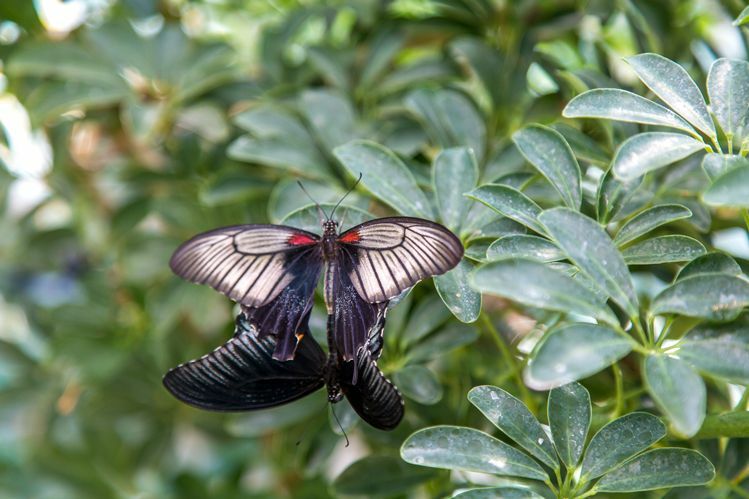 This mating pair of Mormons is actually two different species that have Mormon in their name. They are native to southern Asia. 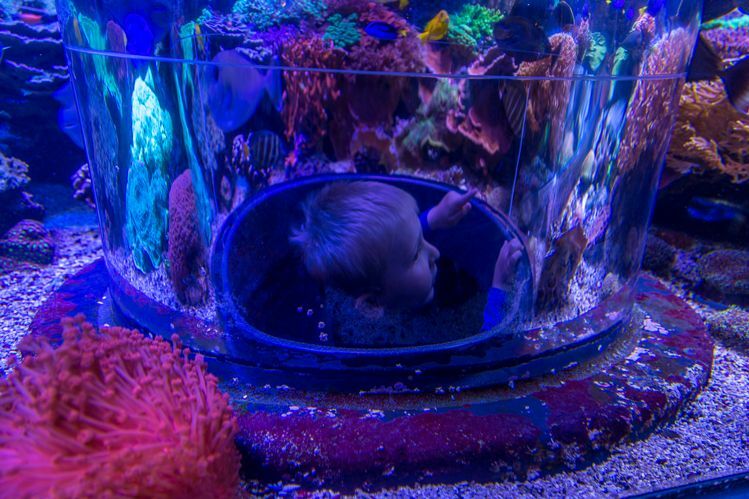 The pop-up dome gives guests the opportunity to view fish and coral all around them. All of the living coral in this exhibit are from the Indo-Pacific Ocean. 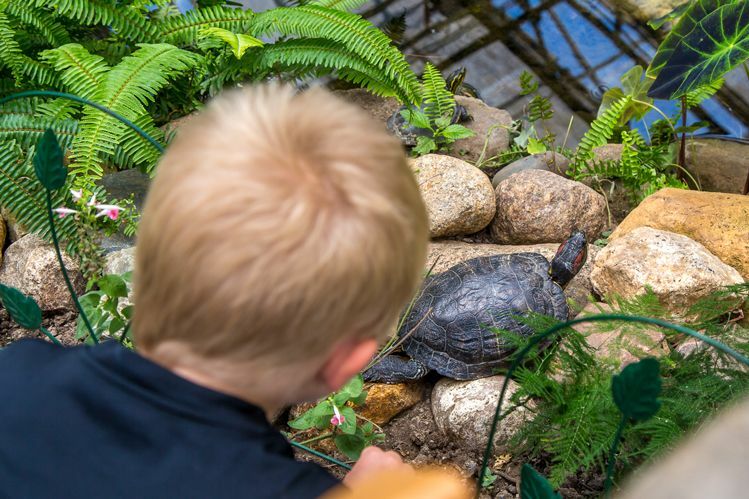 Children love to steal a glimpse of Sarah, a red-eared slider turtle. Sarah likes to wander through the Flight Room with kids following close behind. 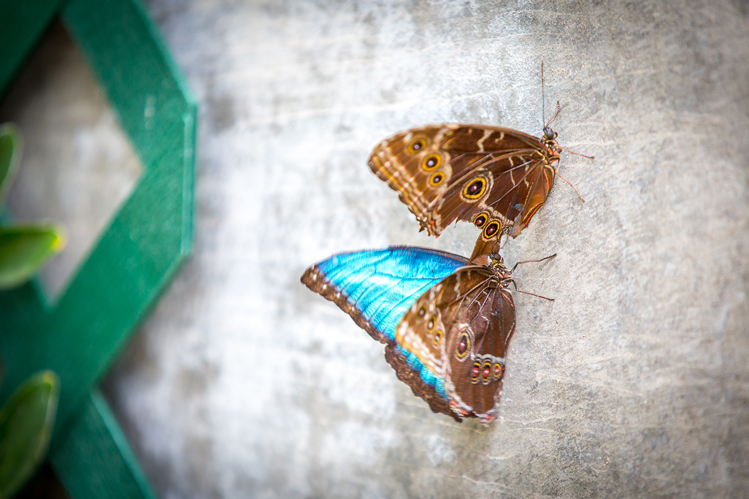 The brilliant blue in the Blue Amorphous butterfly's wings is caused by the diffraction of light from millions of tiny scales. It flashes its wings rapidly to frighten predators.